Aren’t we all looking for the latest, greatest way to get dinner on the table? 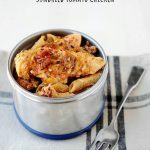 Quick weeknight meals never go out of style and this Sun Dried Tomato Chicken & Pasta Skillet meal is one everyone will love. The beauty of this Creamy Sun Dried Tomato and Chicken Pasta Skillet Meal recipe is that it tastes like it took a lot more time to bring together than it actually does. 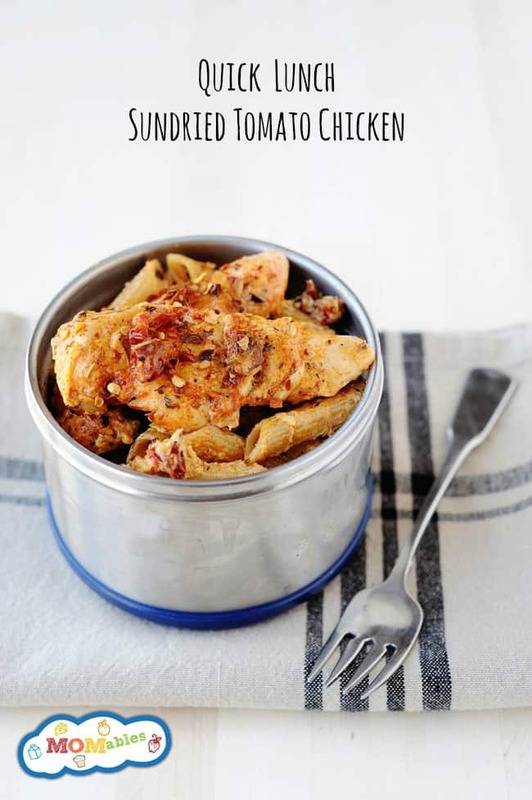 Simple ingredients like sun dried tomatoes, half and half, fresh basil and chicken breasts combine with penne pasta to create a filling, quick meal your family is sure to enjoy. 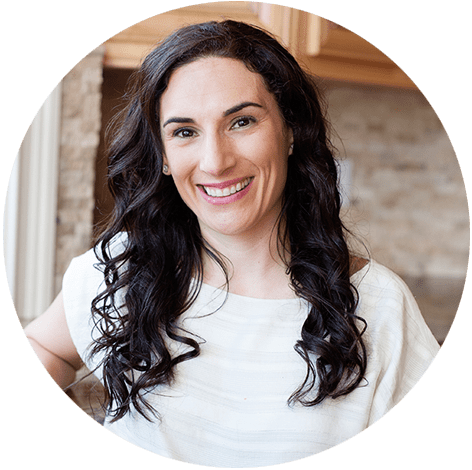 You can even use adapt to your family’s needs by using gluten-free pasta! Check out this quick video and see how easy this skillet meal is to make. As always, any leftovers make for delicious thermos lunches the next day! In a large pot, bring pasta water to a boil and cook pasta according to package directions. Once cooked, reserve 1 cup of pasta water and drain. On a cutting board, finely chop sun-dried tomatoes. Season chicken with salt and paprika. In a large 10-12 inch skillet over medium heat, heat up some oil and sauté chicken until it’s browned on all sides and cooked through. Add sun-dried tomato pieces and garlic, and sauté for an additional minute. Add half and half to the skillet. Bring to a simmer over medium-low heat, stirring occasionally to combine liquid and sund-dried tomatoes. Once a thick sauce is formed, add dried basil (or pesto sauce). If you are using fresh basil, add it in the last step. Add cooked pasta to the skillet and combine with sauce. Add ½ up reserved water, mix throughout to thin out the sauce. If it’s too thick, add in additional reserved pasta water. Top with additional basil and Parmesan cheese prior to serving. Easy chicken and rice soup recipe that's full of veggies, tender rotisserie chicken, and rice. Simple hacks to save time in the kitchen to eat healthier. Cooking this now and it smells great! Love your quick simple video! I made this for my family last night. Two of the three kids gobbled it up, and my husband and parents thought it was great! The third child is super picky and slow to adapt to new foods. I got him to eat a piece of the chicken, which is a step in the right direction. Super easy. Super tasty. Perfect for a mid-week meal. Love this!